The two smallest playable races of World of Warcraft are the two biggest stars of the first expansion to Hearthstone, Blizzard’s digital collectable card game. The gnomes and goblins of Azeroth will prominently be featured in the upcoming Goblins vs Gnomes expansion, set to release on December 8th in North America and Southeast Asia, and December 9th in Europe, Korea, and China. The 120+ card expansion sees a number of inventive new card types that play off of the stereotypes the two races are infamous for. The gnomes and the goblins are known as the tinkerers of the Alliance and Horde factions, respectively. They do their best at constructing technology, but it typically backfires on them. As natural tinkers the gnomes and goblins always have spare parts laying around, thus prompting “Spare Part” cards being introduced in the expansion. These single-use, single-mana, cards are an effective (and cheap) way to stack useful buffs onto characters. Take for example the “Rusty Horn” card, which equips any friendly minion with taunt. Some cards are also considered “piloted” and will summon a random card to serve as a pilot when the piloted card comes into play, or when it is defeated. Speaking of defeat, many of the newer cards have unique Deathrattle effects that advanced players will enjoy working into their existing strategies. 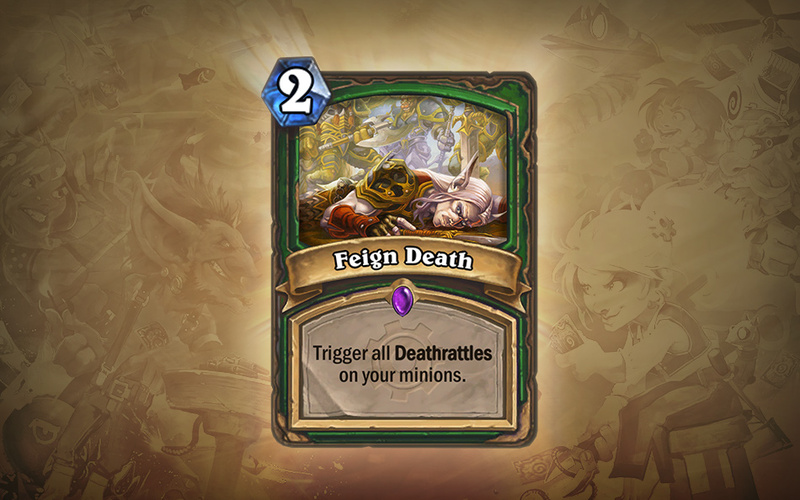 Just looking at the “Feign Death” card, my mind is already swirling with possibilities. New ogre cards are also set to come into play with the expansion. The ogre cards offer another unique strategic element: they have the chance of completely missing the designated target and attacking another enemy instead. These alternate targets will take the damage even if they are behind a taunt card or stealthed. Look for Goblins vs. Gnomes on December 8th, in the iOS App Store. Feeling a bit rusty with Hearthstone? Take a refresher course with our Hearthstone walkthrough!